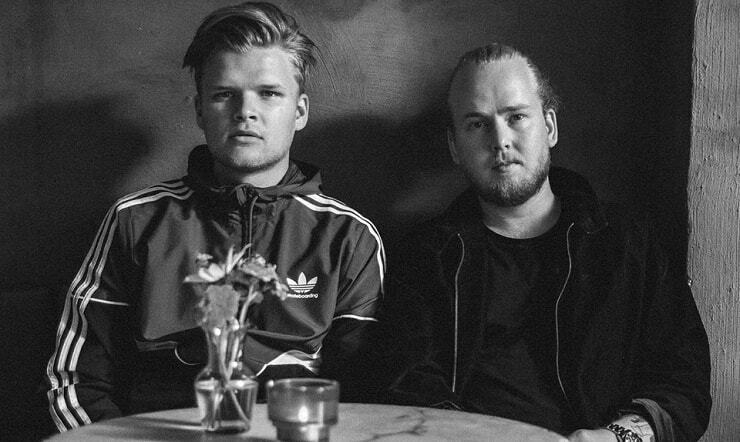 Following the release of their debut single, Norwegian soul-pop duo Jimmy Smash are set to drop their easygoing follow-up, ‘Fine Line’. ‘Fine Line’ was self-produced in vocalist Håvard Lyngstad’s childhood home and is a melting pot of organic instrumentation, analog synthesisers and rich 80s R&B melodies, carried by Lyngstad’s raspy tone and soft falsetto, yearning, “You snap your fingers when you need me closer, I’m holding on, I’m holding on by a fine line…” Depicting a tale of unrequited love, the song tackles “the dilemma of getting pulled deeper and deeper into someone, even though the person never returns the favour. It’s about despair and the strong force that misleads you into a confused state”. Although lyrically melancholic, the juxtaposition of the tranquil production instils a sense of hopefulness throughout the carefree track, resulting in a nostalgic, halcyon aesthetic that is soon becoming their trademark. Releasing their debut single ‘Macadamia’ in early October, the band saw exposure from Clash, The Burning Ear, Norwegian radio stations NRK P1 and P3, and rose to #3 in Norway’s Spotify Viral Top 50. Blending a soft R&B sound with pop rock elements, the duo conjure up a heavenly sound similar to the likes of Dornik, Matt Corby and James Bay. Jimmy Smash are now gearing up to play their first ever live show in Oslo on November 29th, as well as Trondheim Calling next February. Although fresh onto the scene, Jimmy Smash are already starting to make their unique imprint on the music industry in challenging the pop music of today. With plenty of music to come, be sure to keep an eye on the soulful duo.